2010 really was the most incredible year for me. It saw me realise my dream of writing a cookbook and after several years of hard work I finally got to hold my very own published work in my hands. It doesn’t get better than that. You told me how much you enjoyed the book when you read it and cooked from it and that means the world to me. As I wrote it I thought of you, thinking of you curled up with it in bed or wrapped in a throw in a favourite chair on a cold winter’s day, and splattering it with batter as you cooked from it in your steamy kitchen. And so to hear your lovely feedback is overwhelmingly wonderful. It was a year of success and joy but also one that has shown the bittersweet side of life and the year drew to a close with the sadness of bereavement. As we all know, life is a journey, with its ups and its downs, its twists and its turns, and the best we can do is buckle up and ride with it, enjoying the exhilaration of the good times and holding on tight through the bad, trusting that this too shall pass. I’m ready now to accelerate into 2011 leaving a colourful trail of smoke behind me. For you, I wish a sparkling year full of love and joy and happiness. 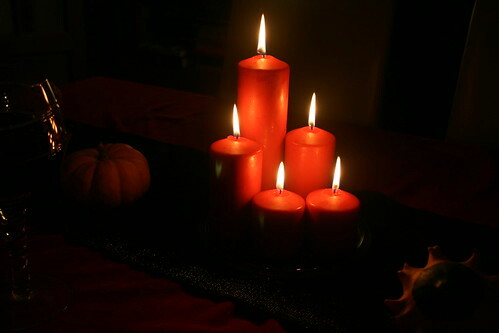 I wish for you to dream wonderful dreams and for everything you hope for to find its way to you. 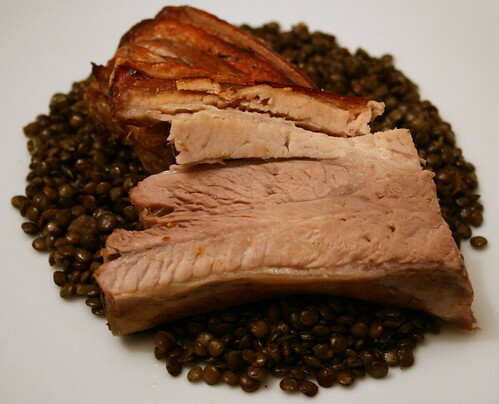 I made the most of this snow day with hot chocolate and crumpets and slow roasted belly of pork with Puy lentils. In February it was all steam ahead with the cookbook and I gave you a sneaky peek inside. 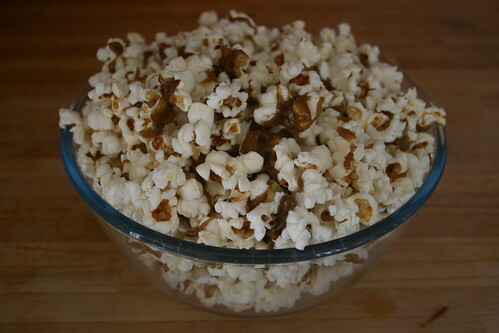 Who doesn’t love popcorn? 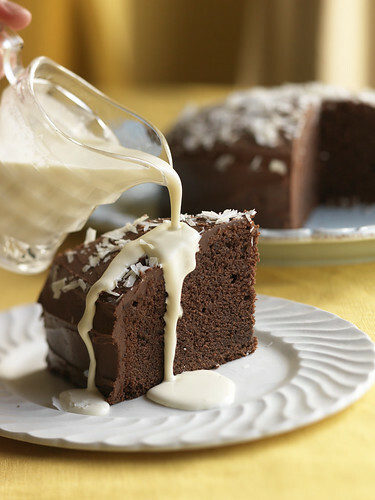 Especially when it’s smothered in toffee. 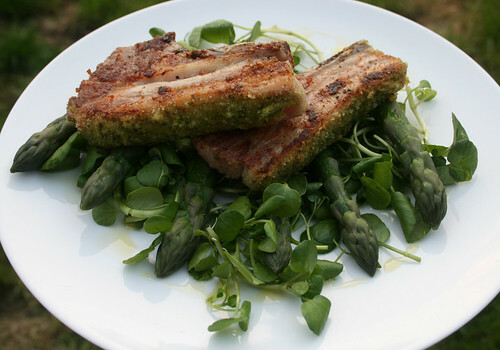 Succulent lamb cutlets with a herb crust featured in May and they will definitely be featuring in my summer cooking again this year. In June I moved to WordPress and re-deisgned the blog which enabled me to do things such as starting a series showcasing all the talented food bloggers out there. Look out for many more to be featured this year. 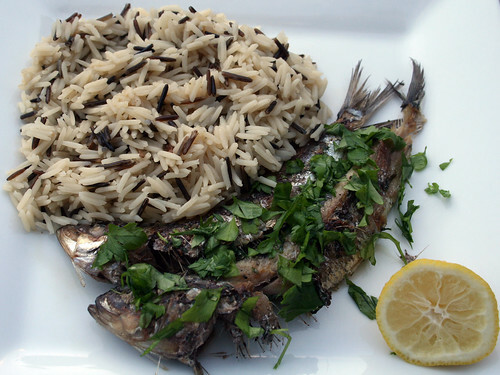 In the midsummer I was enjoying lots of simple fresh fish dishes such as sardines with basmati and wild rice. 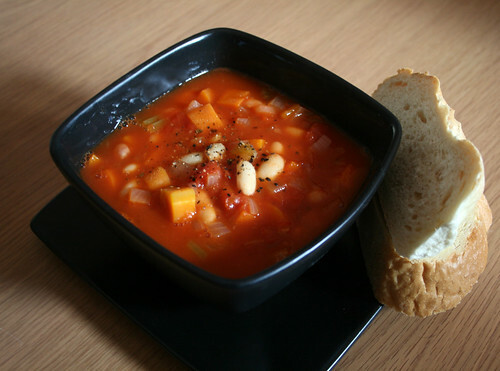 Rainy days in August demand Mediterranean influenced soups such as this Tuscan Style Bean Soup, don’t you think? 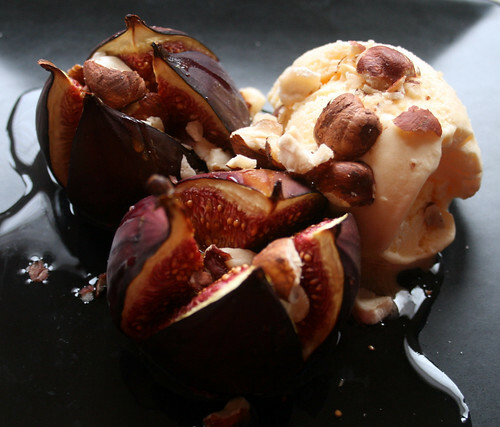 I welcomed in autumn with a drool-worthy pudding of baked figs with maple syrup and vanilla ice cream. Definitely one to try. Another highlight was being asked, along with Tom Aikens, Alex James and Liz McClarnon, to contribute to the book ‘When You Entertain’, a modern twist on the original Coca-Cola recipe book from 1932, which was written by the legendary American Hostess Ida Bailey Allen. 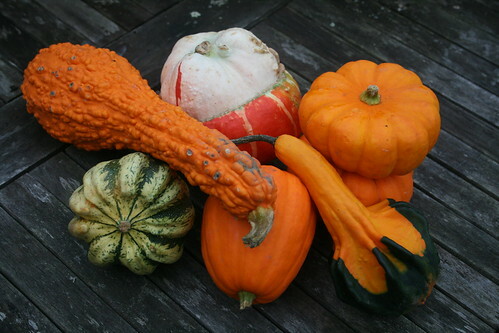 These colourful winter squashes inspired an autumnal dish and put me in mind of a seasonal friend, The Pumpkin King. And I had the honour of my blog featuring in the book ‘Foodies of the World’ featuring the world’s best food blogs. 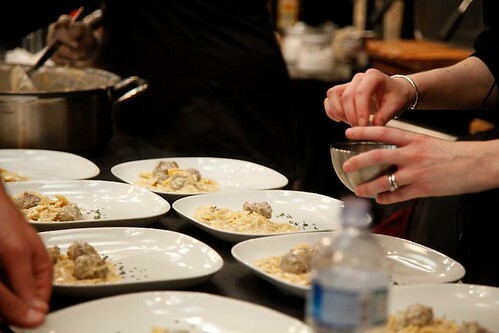 October also saw me cooking at the Salone del Gusto in Turin where I cooked my creamy sausage pasta from the cookbook for 30 or so Italian guests! 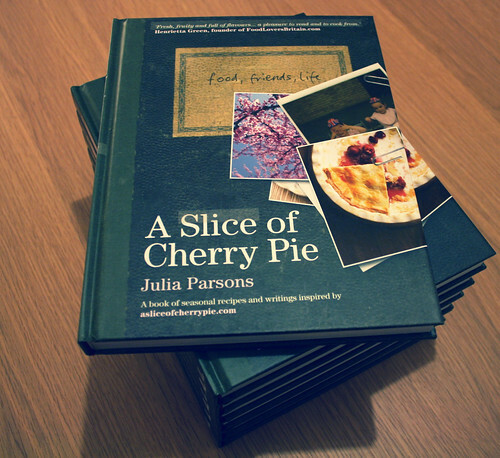 November was a very special month, seeing the release of my very own cookbook. As much as I love food blogs and my own little corner of the world wide web here on this site, there’s something very wonderful about holding a book in your hands, smelling the paper and turning the pages. But the cooking didn’t stop and as the weather got colder I warmed myself up with a Orange and Stem Ginger Crumble and I told you about my feasting at the witching hour at Halloween when I made ghoulash (yes, you’re read that right!). 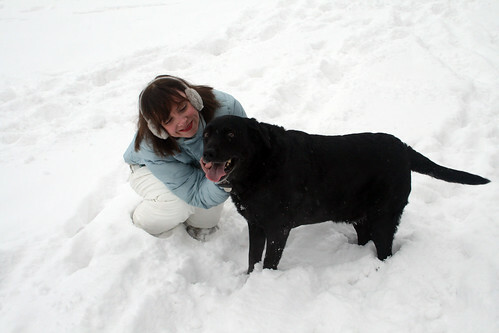 The UK saw the worst December snowfall for but us Brits kept our stiff upper lip and I kept on cooking. 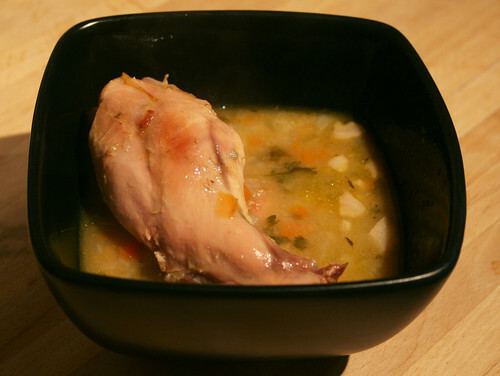 Rabbit stew with a cooks treat of offal on toast was just the thing. I’m looking forward to creating another year of memories and I do hope that you’ll join me. What a lovely post, Julia. Wishing you all the best in 2011. Happy New Year! Happy New Year! 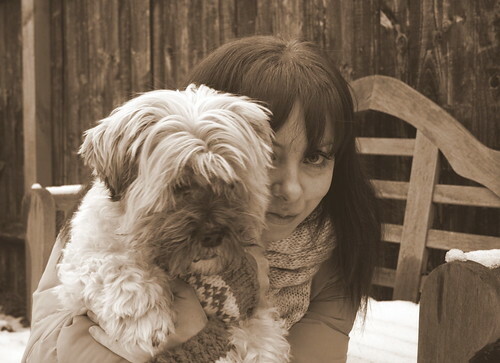 I hope you have a lovely 2011. Congratulations on your successful year. Looking forward to seeing what you can do in 2011! wow, what a great year it’s been for you, you should be so proud of the book… I can’t wait for my 1st year, it’s been a very exciting year for me too, meeting a new blogging community and i’d like to thank you for the inspiration along the way! Happy New Year! What an amazing year for you. 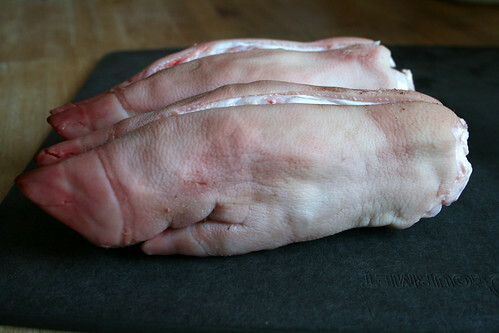 2011, I’m sure, will continue your cooking dream. Congratulations on the cookbook, it must give you a huge sense of achievement. I’m relatively new to this blogging lark, and yours was one of the first that I found to see “how it’s done”, although I don’t actually do it like you, if that makes sense – inspiration rather than plagiarism. Although I have only been going a few months, I’m starting to get quite a lot of visitors, and have just been asked to contribute a recipe to a fund-raising cookbook. May you long continue, best wishes for the future, and a Happy New Year! Happy New Year, Julia. 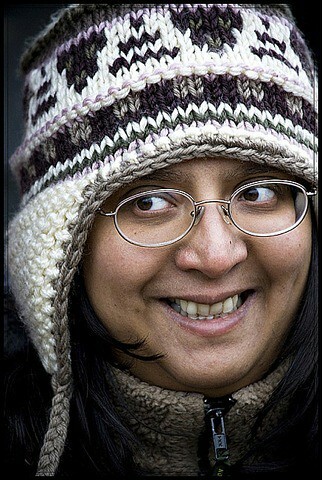 Congratulations on a very successful year and I hope 2011 is just as exhilarating!